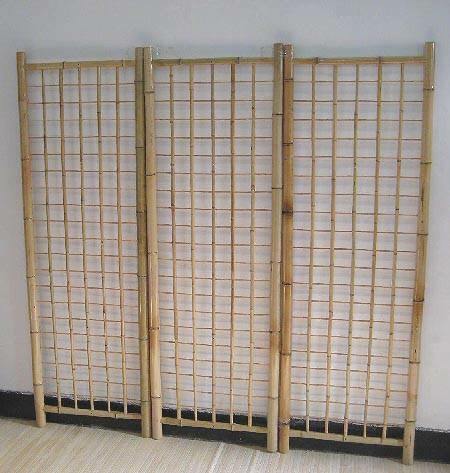 A Classic Bamboo Gridwall Panel will dazzle customers and keeps merchandise perfectly in view. This 100% wooden store display measures approximately 36-inches wide and stands about 72-inches tall. A clear acrylic finish has been added to the display that adds durability and shine to the exhibiting stand. Add a touch of flair to your walls with the grid wall panel covered in bright colorful merchandise from clothing to toys. When customers can easily see what they’re getting from the display wall, they’ll buy more, that’s what makes the panel so useful. Products made from bamboo are sturdy, long lasting and beautiful. The bamboo grid panel has a clear acrylic finish that makes this display scratch resistant. 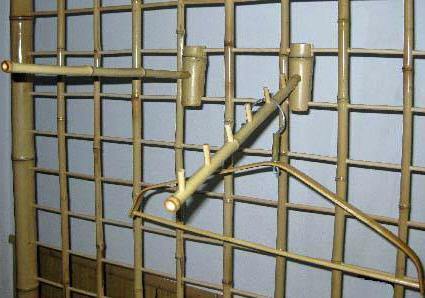 Use with our bamboo grid wall accessories to make a display that is one of a kind. Get your bamboo fixture today by purchasing online now. 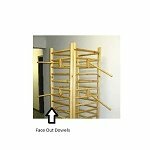 Log Wood Dowel Rack Face-out - 14"